Implementing various programmes of planned, cyclical and legislative maintenance to their church buildings. The role-holder must have a strong blend of professional and administrative qualities, particularly the ability to work constructively with a wide range of stakeholders, including clergy, consultants, contractors, churchwardens, other volunteers and statutory bodies. Particular emphasis is placed upon the role-holder operating efficient and effective financial management and forecasting in supporting PCCs in producing and delivering planned preventative maintenance plans for their church and ancillary buildings. Analyse records of reactive, routine and statutory maintenance to identify patterns of emerging liability on building fabric assets, and to suggest where resources should be used to discharge high priority defects. For any maintenance works obtain the necessary statutory consents including consent for works that fall within the Faculty Jurisdiction Rules 2015 (FJR 2015). Ensure that contractors comply with standards for health and safety management on all projects, establishing clear working practices consistent with the CofE Birmingham Property Team, monitoring for adherence at critical junctures throughout a contract, reviewing on completion and affecting improvement in future practices through informed comments from contractors, end users and external consultants. Undertake periodic reviews of service delivery, or attend to direct complaints of procedural failure, and implement with a consistent approach the improvement to operational structure and processes as identified as necessary and representing value for money. The Health & Safety at Work Act (1974) places responsibilities for Health and Safety on all employees. Therefore it is the postholder’s responsibility to take reasonable care for the Health, Safety and Welfare of themselves and others in accordance with Legislation and the Company policy on Health & Safety. Ensuring safe working practises are adopted in accordance with the Property Department’s procedures and the CDM regulations. 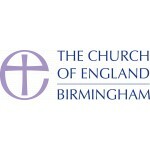 The Parish Building Surveyor will work as part of the Church of England in Birmingham’s Property Team, under the management of the Director of Property. Within the Team, the Parish Building Surveyor will work closely with the Care of Churches Officer and Places of Worship Support Officer. Within the wider office, the Parish Building Surveyor will also need to liaise closely with the Property Director, the Diocesan Secretary, the Archdeacons of the diocese, the Area Deans, and the Mission, Education and Communications Teams, as appropriate for the needs and objectives of a given project. Under the new People and Places framework it is proposed that there will be 6 no. deaneries with an Area Dean acting in each Deanery. The Parish Building Surveyor will have the responsibility to support the Operational Manager as requested on property related matters. The substantial part of the Parish Building Surveyor’s role will require developing working relationships outside of the office, on-site at various churches. As such, there will be frequent contact with clergy, churchwardens and members of the PCC and congregation with responsibility for church buildings. The capacity to work and make decisions with a high level of personal discretion. Please ensure that you reference these criteria in your application. Due to the major emphasis on visiting churches and working outside of the office, a Parish Building Surveyor candidate must have a valid driving licence and access to an appropriately insured vehicle. Hours: Full-time (35 hours per week) for a fixed term of 4.5 years, with the possibility of extension depending on funding.